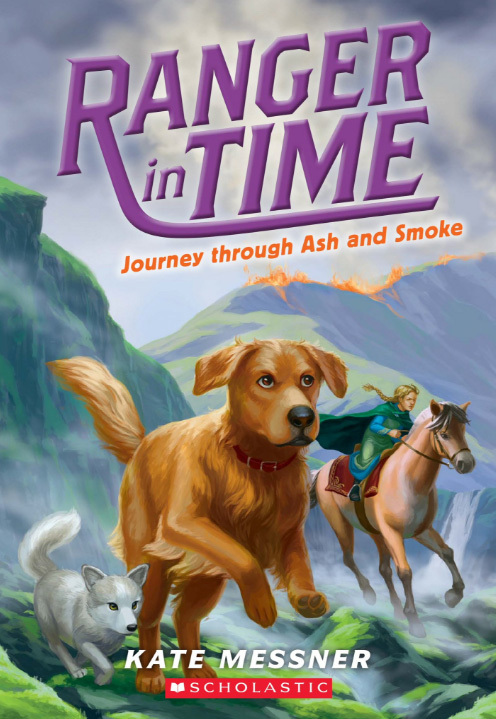 Excited to reveal the cover of Ranger in Time: Journey Through Ash and Smoke! When I heard that the fifth book in the Ranger in Time series was going to feature a Viking girl as the main character, I was super excited. 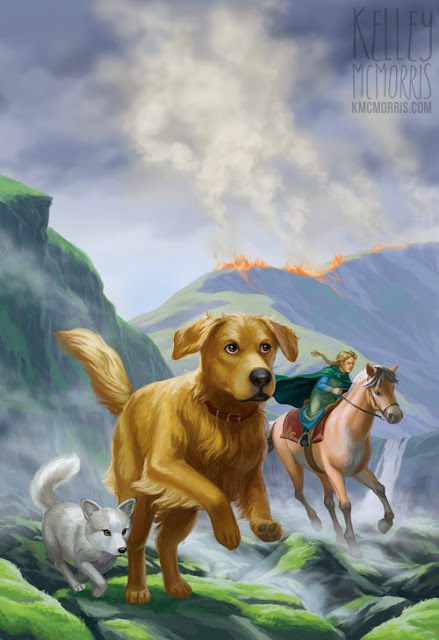 Over the series, Scholastic and I have established a formula for the Ranger covers: Ranger running forward, looking directly at the camera, with an exciting and colorful background that established the book's historical setting. But I guess the editorial team was worried that this would start getting too repetitive, so they said they wanted to change things up for the next cover. In addition to Ranger, they wanted me to include two more characters: the Viking girl, Helga, and her pet arctic fox. They suggested that Ranger and Helga could be running through the Icelandic landscape, or standing on top of some cliffs. Usually I do three rough sketches for book covers. But since the editorial team seemed like they were interested in some new options, I did four sketches this time. The team liked rough #4 the best. They asked for a few more revisions, especially to see an erupting volcano in the background. 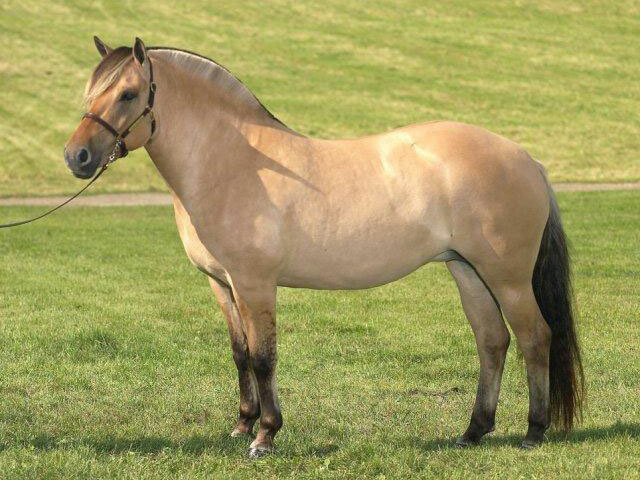 They also wanted to see some options for Helga and the horse. 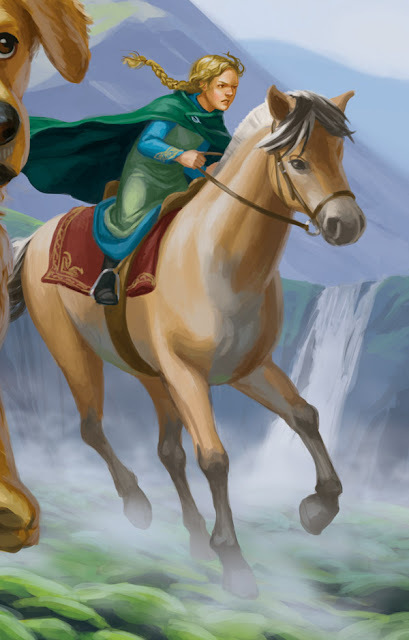 They chose the middle option, and asked for a few more tweaks to the poses of Ranger, Helga and the horse. They also asked me to make the landscape rockier and change the volcano to a more accurate depiction of the actual volcano in the book, Eldgjá. It needed to look less like a classic conical volcano, and more of a "wall of fire and sparks." They also asked for a color palette of cool grays and rich greens. I put a lot of detail into the character of Helga. My Mom has done a lot of horseback riding, so I showed her my drawing and asked for some feedback to make sure that Helga's posture was correct. I also did a little research on what kinds of horses Vikings rode. Turns out they had their own special breed called Norwegian Fjord horses, which have a particular peachy coloring and white and black manes. Here is the cover with the type, designed by Ellen Duda. The author, Kate Messner, posted this photo of her first box of copies! 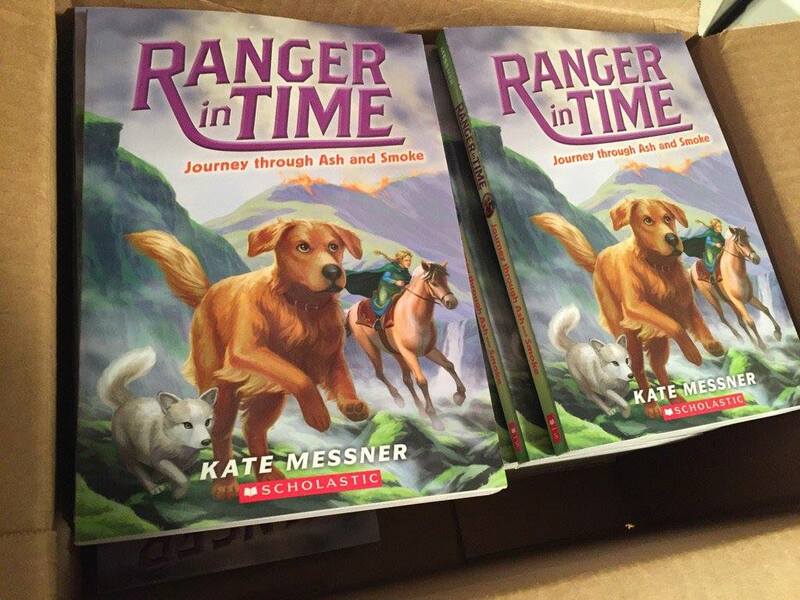 Ranger in Time: Journey through Ash and Smoke comes out January 31st. It also includes 16 interior illustrations by yours truly, which I will talk about in my next blog post!